Adam Clarke hates hospitals. Doctors and pills make him sick. He just wants to play soccer. But since surgical complications after a leg injury left him lopsided, he can’t run. Sometimes he can’t even breathe. His life is in slow motion. His parents think he’s impossible, his sisters think he’s pathetic, his classmates think he’s a joke and his teachers just shake their heads about his deteriorating schoolwork. Even his best friend has given up on him. Then, when his grandparents arrive for a prolonged stay, Adam gets forced into spending some quality time with his grandfather. What he discovers as he learns to put himself in other people’s shoes will change his life. Superfoot can stimulate family conversations about empathy, middle school, autonomy, tolerance, peer relations, trauma, sibling rivalry, parent-child communication, asthma, allergies, Parkinson’s disease, and medical compliance issues. 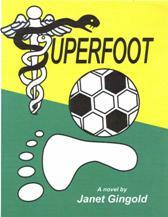 Superfoot is now available as an ebook in a variety of formats from Amazon and from Smashwords. You can download the free Kindle software for your computer, iPhone or iPad from Amazon. When Becca's father goes off to fight in a war on the other side of the planet, she tries hard to live up to his expectations. 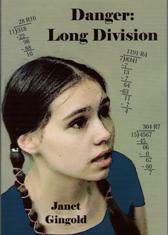 But then long division hits her like an earthquake. Suddenly, she's failing math. Her friends turn mean, her baby brother is in the hospital, and her mother is too hassled to help her. How will Becca find the pieces she needs to master the bewildering mysteries of math and put her crumbling life back together? Through Becca's story, young readers are invited to think about thinking, sibling rivalry, separation, independence, coping techniques and learning strategies. 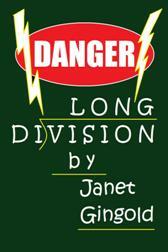 Danger: Long Division is also available in electronic format for your Kindle, PC, ipad, or other electronic reading device. Harmon doesn't fit in the hole he gets shoved into. He has to break out. In the bizarre world of middle school, no good deed goes unpunished. Kids who do homework, friends who look out for each other, teachers who try to keep kids interested--they all get slammed. With his grades at an all time low, and his weight off the charts, Harmon's headed for disaster. He's bombarded by his classmates' jeering, his mother's nagging, his father's expectations and his doctor's orders. Even in his music he finds too many wrong notes. But just when he wishes the whole noisy world would just go away, he finds a whole new world worth exploring. 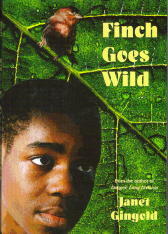 Finch Goes Wild received the Afr'Am Literary Award for "Best Young Adult Title of 2007" at the 2008 Afr'Am Fest in Norfolk. This story can prompt discussions about decision-making, risk-taking, home-schooling, stereotypes, diet and exercise, nature and music. 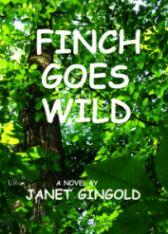 Finch Goes Wild is also available as an ebook. You can view a free sample at Smashwords and purchase it in a variety of digital formats for reading on your kindle, ipad, PC or other reading device. Grab your binoculars, your field guide and your wildest imagination! You're off on a birding adventure. You'll trek through woods, to a pond and then up along a rocky ridge. You'll count more birds than ever--some familiar, some rare, and even some mythical. What did the raven mean? Was that a roc in the distance? Could that really be the phoenix? 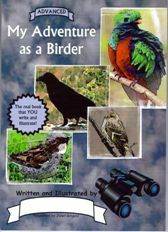 Within the scaffolding of this story, young creators exercise their skills of identification and description as they add their own details and illustrations of birds both real and imaginary. The quest for knowledge--the ultimate adventure! 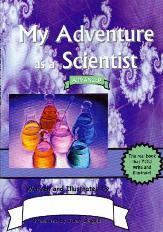 To create this story, you use details of your own scientific investigation. What would it be like to present your ideas to some of the greatest thinkers of all time? How would you explain your findings to Isaac Newton? What advice might you get from Marie Curie or Thomas Edison? Just imagine! Young thinkers use the scientific method and their vivid imaginations as they add their own details and illustrations. This is a fun activity, with or without real-life science fair experience. Pack your trunk. You're off to summer camp for a new adventure packed with knotty problems. Will bewildering activities, difficult campers and a hand injury make you miserable? Or will you unravel a tortuous tangle to help your team? 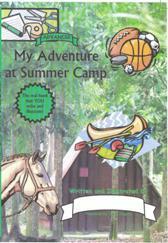 Whether they'd rather be playing soccer or working on arts and crafts, all kinds of real and imaginary campers can exercise their creativity and their vocabulary as they add their own details and illustrations to this summer camp adventure story. A great activity for a rainy day or a long car trip. Hold on to your hat! What will the wind bring next? Practice your sailing lingo and your powers of description as you explore a lake on a sailboat. In addition to the natural inhabitants, you'll meet enchanted dragonflies, a mysterious Lake Lady, and maybe even some monsters of the deep. Within the scaffolding of this story, young creators build vocabulary and self-expression by adding their own details and illustrations. A fun activity for a long summer afternoon. Spiders and insects and scorpions, oh my! Bring your bug bottle, a magnifying glass and your favorite field guide. While you're out exploring new territory, you'll encounter Spider Woman, Arachne and a very scary scorpion. Is there a metamorphosis in store for you? You add the details. As they add their own details and illustrations to the framework of this story, young creators exercise their powers of observation, their vocabulary and their problem solving skills. 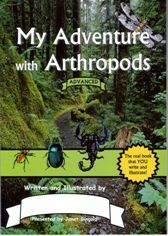 A great companion to a science unit about invertebrates. A mysterious island where reptiles rule! How do you feel about those scaly ectotherms when they are really up close and personal? You fill in the details, as you discover a vast array of reptiles both real and legendary. Watch your step! You never know what might be hidden in that underbrush! As they add their own details and illustrations, young creators develop their powers of observation and skill with depicting detail. A fun companion to a science unit about reptiles. Here's a one-act eco-drama, just right for a classroom full of creative upper elementary kids. The Kingdom of Arthropodia must be saved from the clutches of the gruesome griffins. A young hero must learn new skills and conquer old fears to save the nation. A mysterious oracle, a wise old wizard and host of other quirky characters will keep your audience on the edge of their seats. This is free for classroom use. For any other use, please contact the author for permission terms. This photojournal is especially for my fellow visitors to Watkins Regional Park. Readers explore the changes on the forest floor as new growth emerges through the old leaf litter. This is free for personal, non-commercial use. For any other use, please contact the author for permission terms.